Whatever you're selling, Proven Web can help you to build a successful e-commerce store, complete with online payments, customer account logins, stock control, discount codes, and much more. Contact us to discuss setting up your web shop. Some examples below. GB Locking specialises in automated door locking products, such as electronic door looks and biometric security systems. Proven Web designed and built their new online store in 2018. 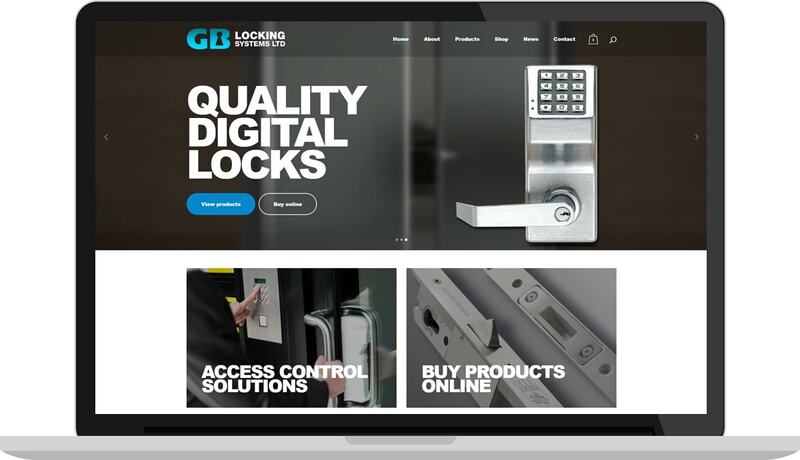 GB Locking had a previous website with a large inventory. Proven Web transferred all products, including photos, descriptions and prices, as part of the build. Some specialist items cannot be purchased online. We implemented an 'enquire now' feature for these special products, instead of the standard Add To Cart button. 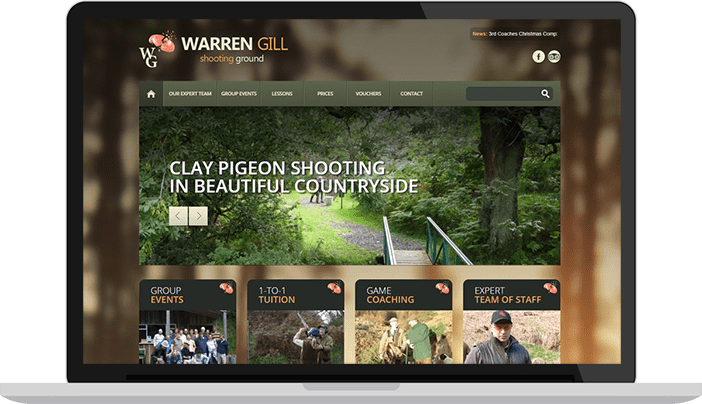 Situated in the Yorkshire countryside, Warren Gill provides clay pigeon shooting lessons and experiences to beginners, groups and advanced shooters, in woodland surroundings. Warren Gill sell gift vouchers via their website. Customers can buy clay pigeon shooting lessons to give as gifts. The website produces personalised gift vouchers in PDF format which can be downloaded and printed. Each voucher contains a unique code so it can only be redeemed once. North East Grinding supply tools and DIY hardware, particularly replacement blades for band saws and circular saws. 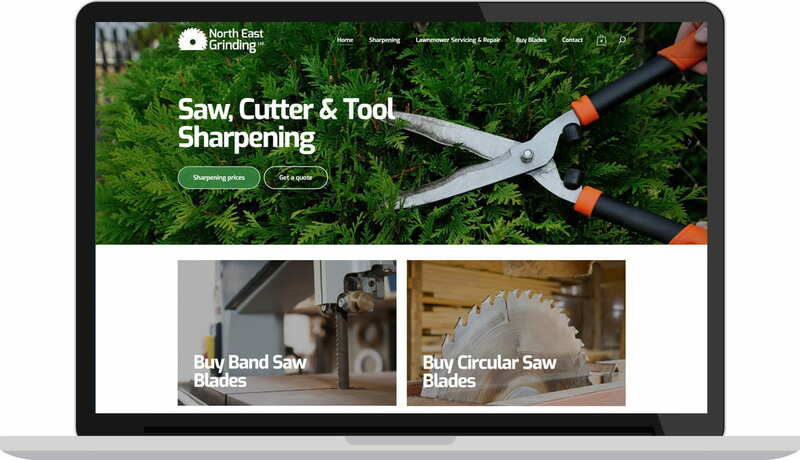 Proven Web built the complete website for North East Grinding including a ‘request a quote’ tool for blade sharpening, and an online shop for purchasing blades via the site. This customer already had an eBay store with many products. We were able to bulk-import product information, prices, and photos, to keep the effort of populating the store to a minimum. Importing from other online shop systems is also possible. Need help building an online shop? Let us give you ideas & suggestions to make your ecommerce site as effective as possible for your business – free and no obligation.